Red roses have symbolized love and romance for centuries. 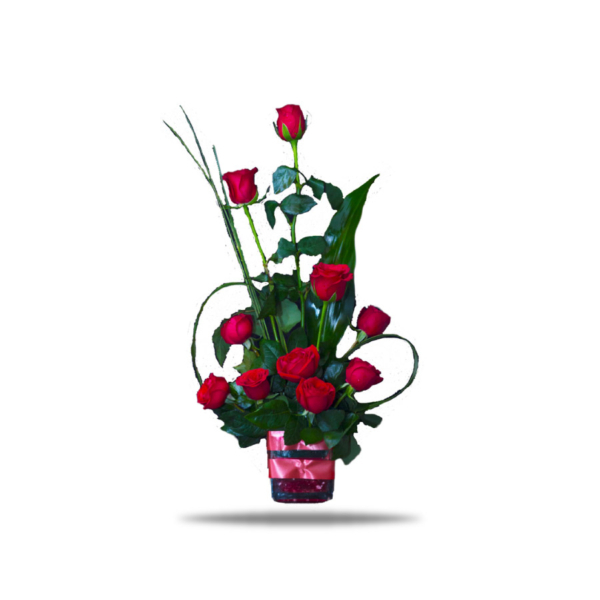 One only need to gaze at a classic red rose arrangement, like this one, to see why. 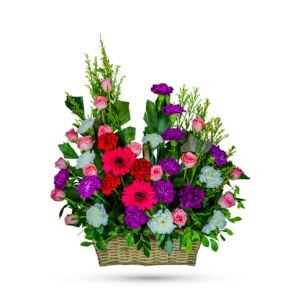 When it comes to delivering romance in a big way, our bouquet, Half of my Heart, is a brilliant choice. 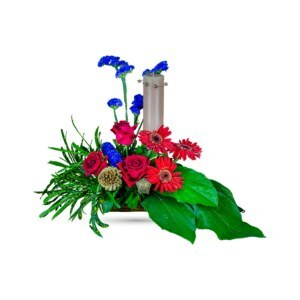 Hot red roses with garden greens are hand-delivered in a fashionable red couture vase. Classic and romantic. Red roses are stunning, dramatic, and they say so much – without saying a word. It’s a beautiful way to celebrate a romance that deepens with each passing year. 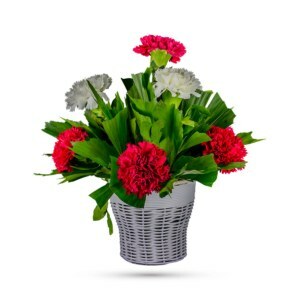 Show them how much with this passionate arrangement of red blooms on your anniversary, his/her birthday, or to surprise him/her on any ordinary day. 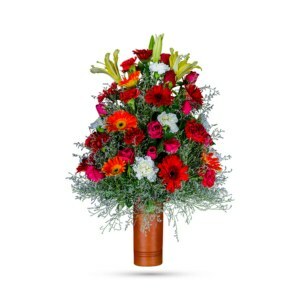 So, surprise someone and present your heart with a dose of refreshing happiness – in this quaint vase of lightly fragrant flowers. As a lovely mix of classic and modern – reds and roses – it’s sure to make someone’s day!